Allergy Friendly Baking Substitutions Allergy Friendly Product Reviews Allergy Friendly Products appetizers Cake Decorating and Baking Cake Decorating Tutorials Cakes Dairy-free Baking and Cooking Dairy free Desserts Entrees Food Allergy Awareness Food Allergy Mama Bear Recipe Support Group Food Allergy Mama Bear Social Media Gluten-free Baking and Cooking Gluten free Life With Food Allergies Recipe Collections Recipes Smoothies Soups Top 8 free Uncategorized Vegan Welcome! Hi, there! 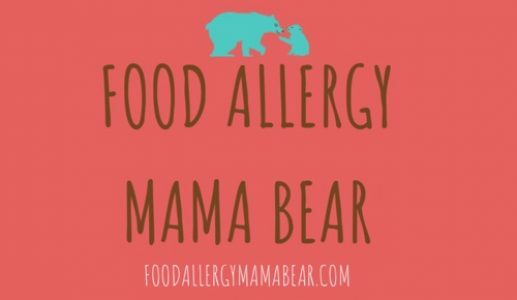 My name is Lacey, and I am the creator of foodallergymamabear.com. As the name implies, I am a food allergy mom, and it is my goal to help other food allergy parents by sharing allergy-friendly recipes, baking/cooking tips, and articles related to life with food allergies. Please check (and double check) any and all labels before you consume a new product if you (or your child) has a food allergy, and if necessary call the relevant manufacturer to confirm that the product is safe for you (or your child) to consume. Please consult your (or your child’s) Dr. before making any dietary changes. While I hope that all of you reading this will find the information I have supplied above to be helpful, this information is not intended to in any way replace, or supersede, the care and advice of your allergist, nutritionist, dietician, or other medical professional.